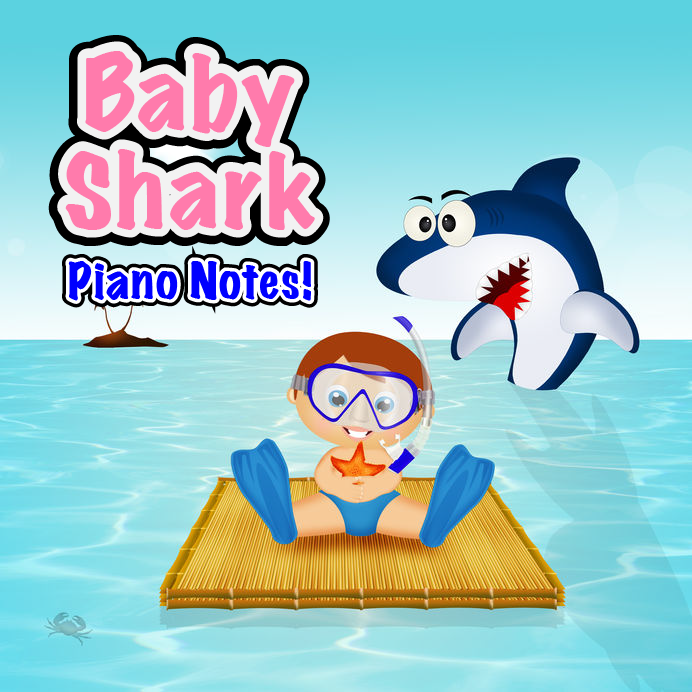 I think it's safe to say that Baby Shark has officially taken the world by storm. It's like Sharknado meets pre-school! I don't think any of us saw the popularity of Baby Shark coming but it came nevertheless. The interesting thing is that I knew of a few different versions of the song before I heard the immensely popular one on Youtube by PinkFong, which currently stands at a mind blowing 2.5 Billion views! Yes, billions, with a "B." While the origins are up for debate, according to Wikipedia, it originated most likely as a campfire song or chant. It's popularity however is much more current and even a dance version of "Baby Shark" was popularized online in a 2007 YouTube video named "Kleiner Hai" and published by Alexandra Müller, also known by her stage name alemuel. It later exploded onto the pre-school scene by the South Korean education brand PinkFong in 2015 and the rest is Baby Shark history. Want Your Child to Learn Piano and Music? 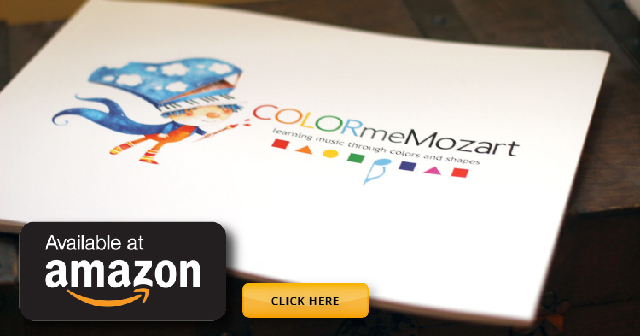 For more information into the Color Me Mozart™ music curriculum, click here to find out more. Your child can learn music, piano and xylophone with real music education that they can apply to any instrument in the future. Give the gift of music to your child or students. 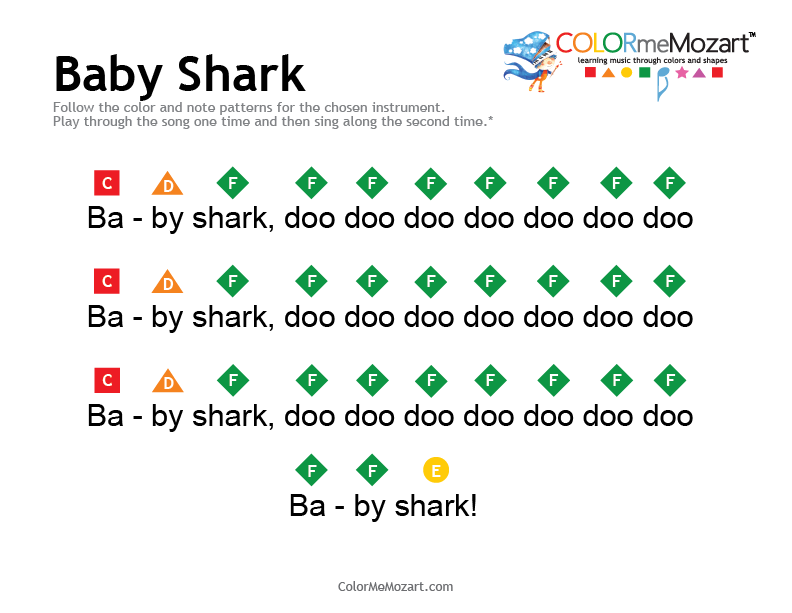 Here at Color Me Mozart™, we believe every kid has the ability to learn to music. Most importantly, we feel that every child should have the opportunity to learn music, piano or any other instrument. Music is such a rich language that helps with cognitive, emotional and social development. That is why we created a curriculum that was not only effective in teaching music and piano, but also affordable to add to any home or classroom.